Plaid Cymru will today set out how it will make the north of Wales an economic powerhouse in its own right. 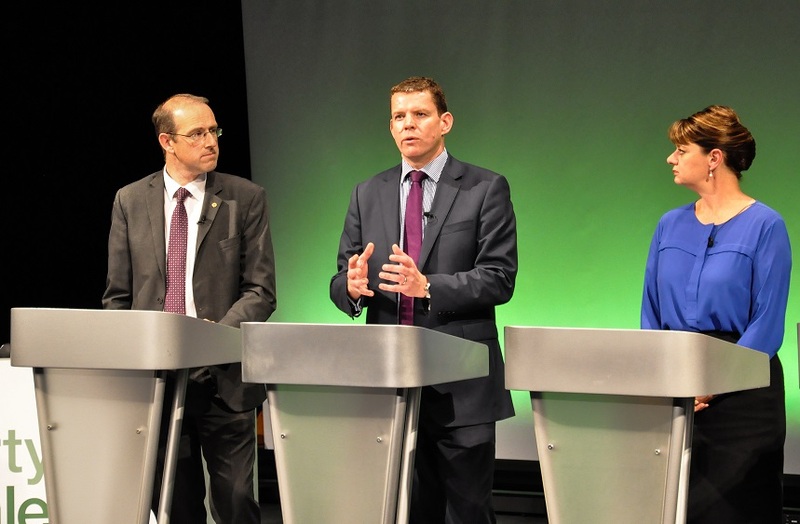 The party’s Shadow Economy Minister Rhun ap Iorwerth said that trickledown economics have proven ineffective, and pointed out the GVA of his constituency of Anglesey was only 48.6% of the UK average. Wages in Dwyfor Meirionydd, he said, are £200 per week lower than Cardiff North. Rhun ap Iorwerth said that the English northern powerhouse project offered an exciting opportunity for north Wales to benefit but said that a Plaid Cymru government would ensure that north Wales develops into a powerhouse in its own right. Opportunities presented by green energy, research and development opportunities presented by universities, and a strong reputation as a tourism hotspot all provide a strong basis for north Wales’ economy to flourish, Rhun said. Rhun ap Iorwerth pointed to figures revealed by Plaid Cymru’s Llyr Gruffydd show that the Welsh Government spent just 15% of its capital budget in north Wales. “The northern powerhouse in England gives us an exciting opportunity to promote cross-border economic activity and boost north Wales’ economy. But we can make north Wales an economic force in its own right. “Successive UK and Welsh Governments have been too focused on using big cities to drive economic growth, hoping for a trickledown effect for areas such as north Wales that simply hasn’t happened. “This is the wrong approach. North Wales has so much potential. Things like our untapped natural resources, the expertise we develop in our universities, strengthening manufacturing and technology and our strong reputation for tourism give us solid foundations on which to grow our economy. But the Labour Welsh Government in Cardiff has consistently failed to realise this potential. Rhun ap Iorwerth to write to Network Rail and Welsh Government regarding Llangefni railway bridge.